It’s pretty hard to look cool in swim gear. 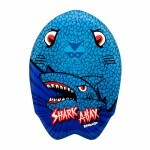 until Raskullz came out with awesome swim masks that is. Raskullz aims to design ‘The Greatest Swim Masks on Water’, or at least the coolest. No longer are swim masks stuck in a 2D world, Raskullz offers the first ever 3D swim gear for youth. Not only do Raskullz masks come with radical 3D features and awesome graphics, but you also look super cool. 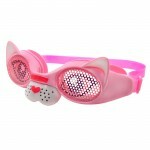 This Dolly Fin Fun swim mask is ready to dive in and embark on fun water adventures.